As the largest carrier in Europe Loomis already services France, including countries such as the UK, Germany, Spain and Belgium. Prosegur, with its significant coverage, looks to continue Loomis’ push into European markets. PCF has approximately 630 employees and the annual net revenue in 2018 was approximately EUR 38.5 million. 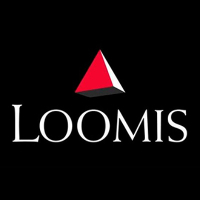 The acquired operations will be reported in segment Europe and consolidated into Loomis as of the closing of the transaction. The final purchase price will be determined at the closing of the transaction. The closing date is expected to be in the third quarter, 2019, pending local works council procedures and approval by the French foreign investment regulator. The purchase price is payable on closing.